After ten years working for a large company, we not only thought, but we knew we could do it better. Our local knowledge, fair pricing and first class service is what makes us stand out from the big boys. We serve each client with a highly trained and courteous technician who is dependable and trustworthy. They will always go the extra mile to make sure your problem is dealt with quickly and thoroughly. Our drain techs are accredited by the water jetting association and are fully insured. Dealing with all Domestic and Commercial buildings we have the vehicles, manpower and equipment to deal with issues there and then. We aim to save on return visits and excess time wasted so our vans are fully stocked to deal with your drainage problem. We have a well trained and competent team big enough to cope with all emergency issues in your home or workplace. We treat your home like it’s our own and our technicians follow our own unique 8 step guide to ensuring our standards stay high. 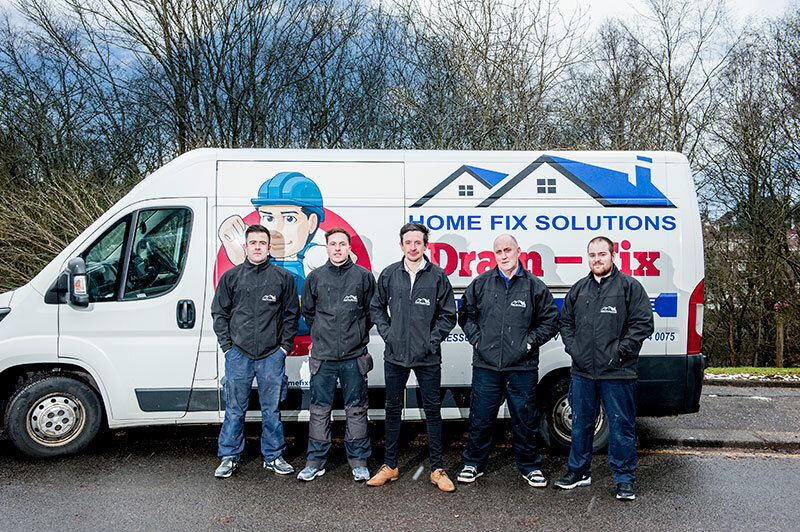 Drain Fix Solutions is your one-stop shop for a full range of high-quality Drainage Services. From Jetting to CTTV, Tanker and Excavations – Don’t delay, Call today.